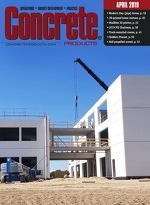 New home construction, acceleration in sales of existing homes, a rebound in public section construction spending, and an increase in commercial construction all contributed to strong growth last year for U.S. and Canadian segmental concrete pavement, according to the ICPI 2016 Industry Sales Survey. The ICPI Industry Survey encompasses segmental paving products 60-mm thick and up; permeable and concrete grid pavers; paving slabs; and, other concrete products, including patio stones. In the principal category of concrete pavers, as defined by ASTM and CSA: U.S. production increased 15.2 percent year-over-year, from 517 million to 595 million square feet, while Canadian output grew 10.6 percent, from 85 million to 94 million square feet. At just over 78 percent of all sales, the ICPI 2016 Survey finds, the residential market continues to be the primary segmental concrete pavement driver. Commercial sales, including municipal and industrial projects, claimed an increased share over last year by 1 percent, or nearly 22 percent of the total 2015 market. Permeable interlocking concrete pavement (PICP) continues to be a high growth product as a means to meet national, provincial, state and local regulations to reduce stormwater runoff. Survey respondents’ significant increase in PICP residential sales likely reflect the increasing popularity of municipalities issuing stormwater credits/reimbursements to property owners who reduce their impermeable surfaces. The ICPI 2016 Industry Sales Survey was conducted by Columbus, Ohio-based Industry Insights, specializing in research for trade and professional organizations. Complete results will be released July 1 in a report—$99, plus shipping and handling—available through the ICPI Online Store.